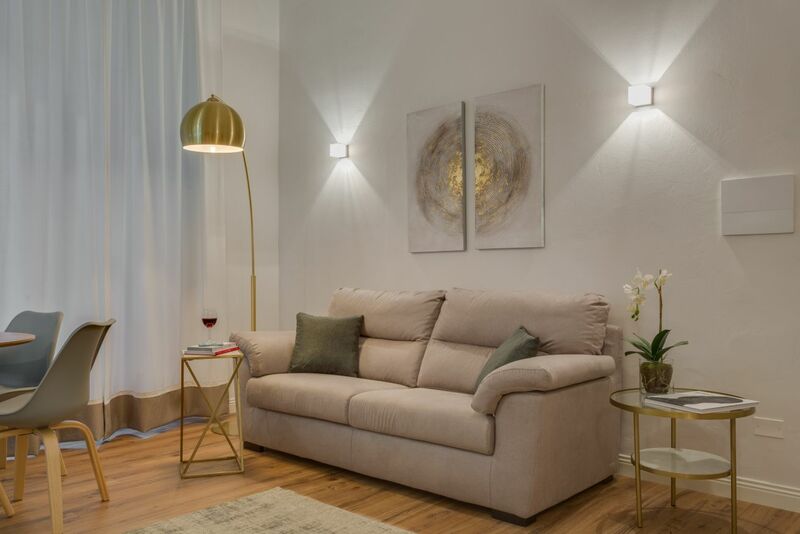 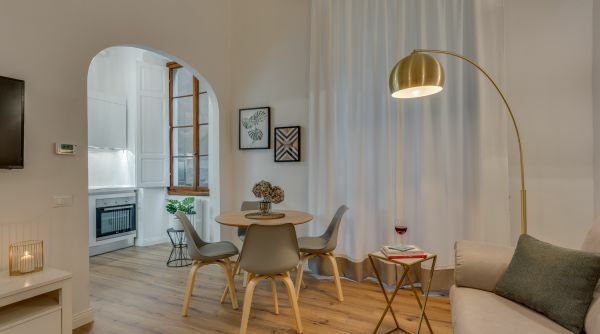 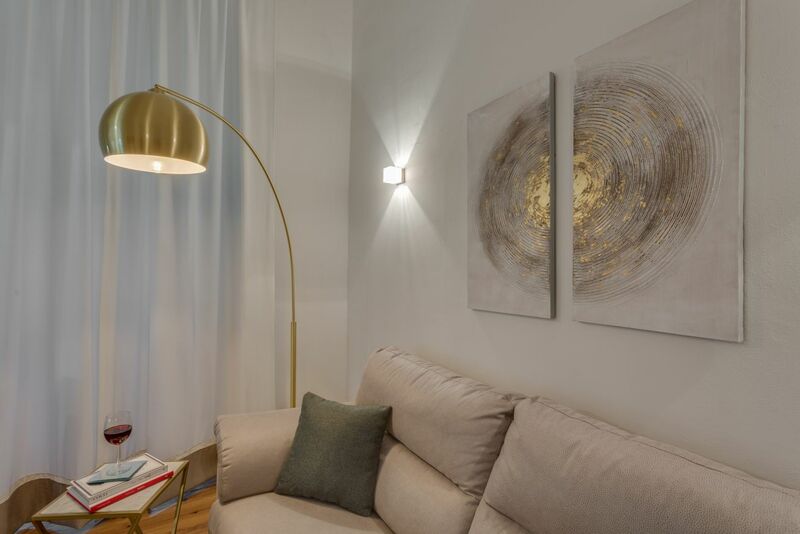 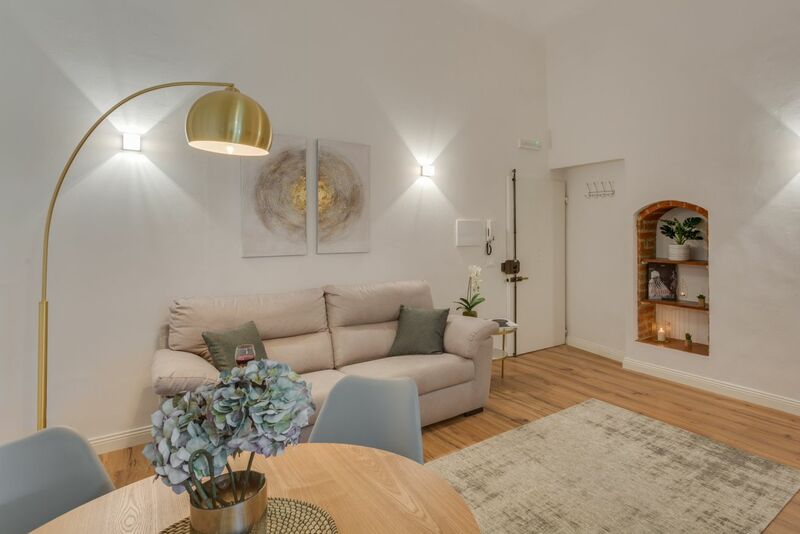 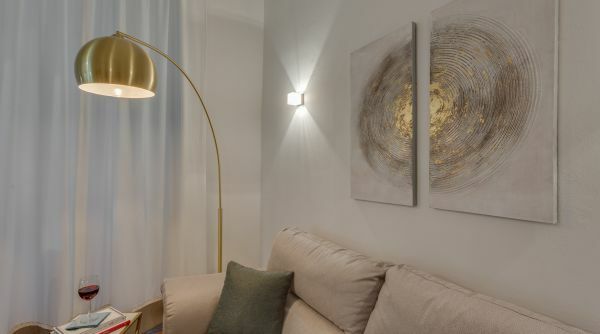 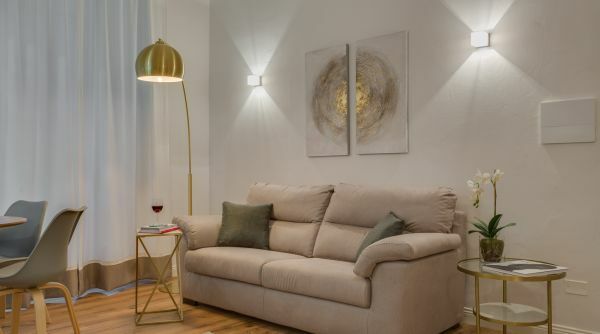 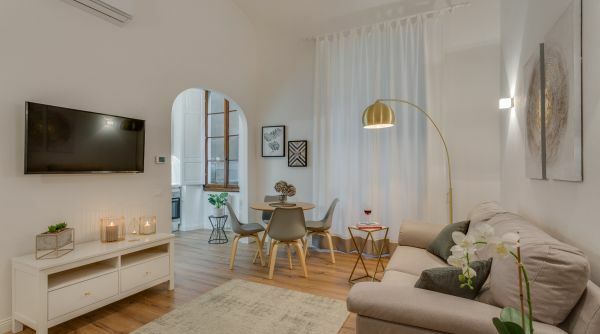 This recently renovated apartment is located on the first floor in the heart of the city center on a very quiet street. 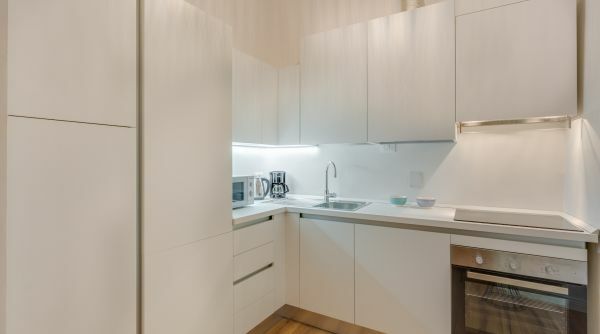 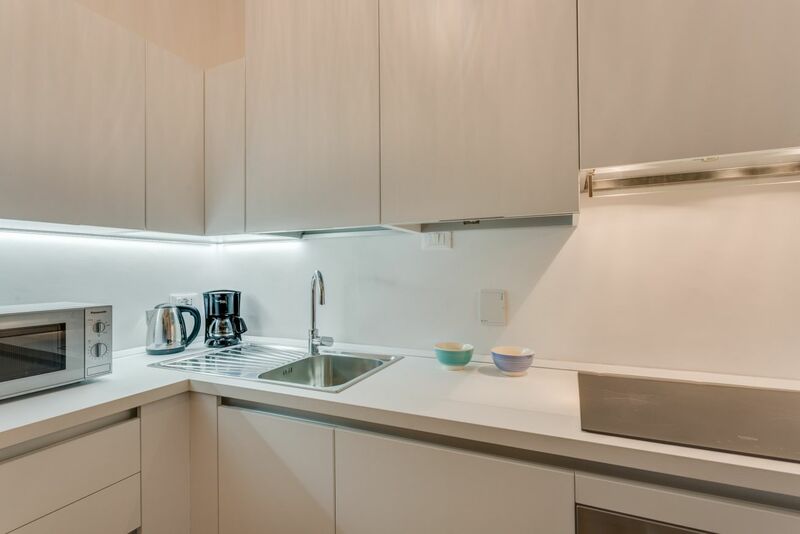 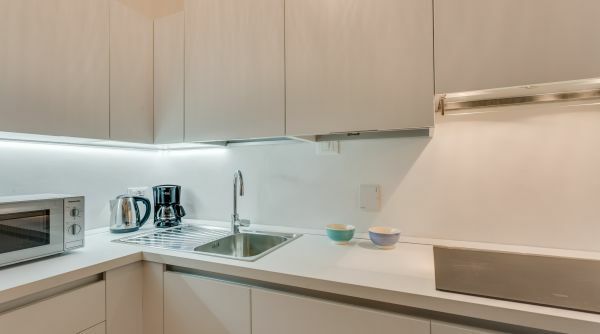 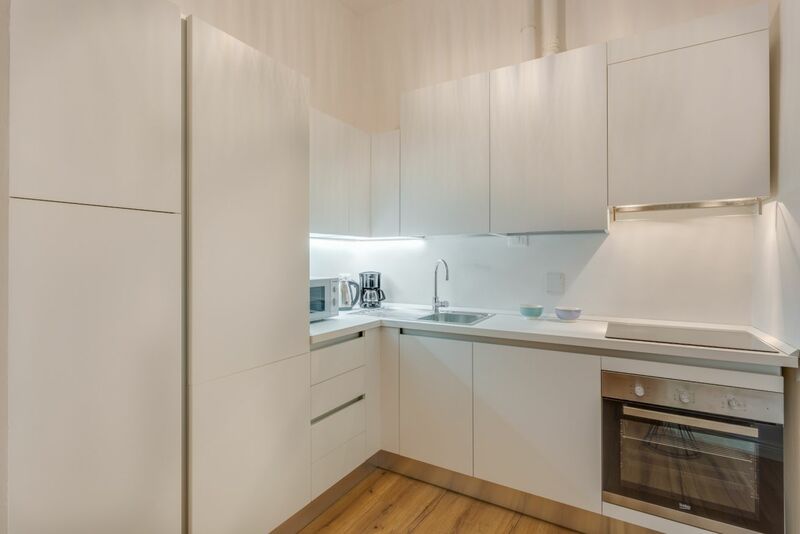 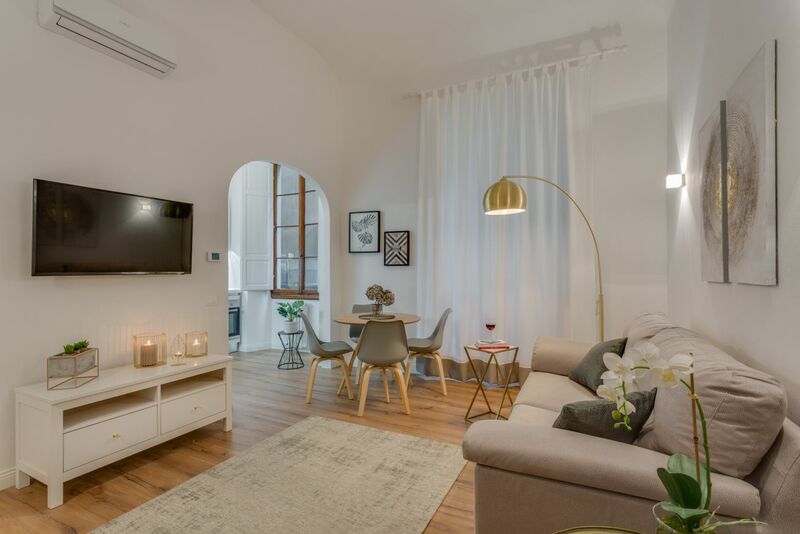 As soon as you come in the apartment, you will enter an open space living room with a modern and clean décor this room leads on the right hand side to a very well equipped and fully renovated kitchen. 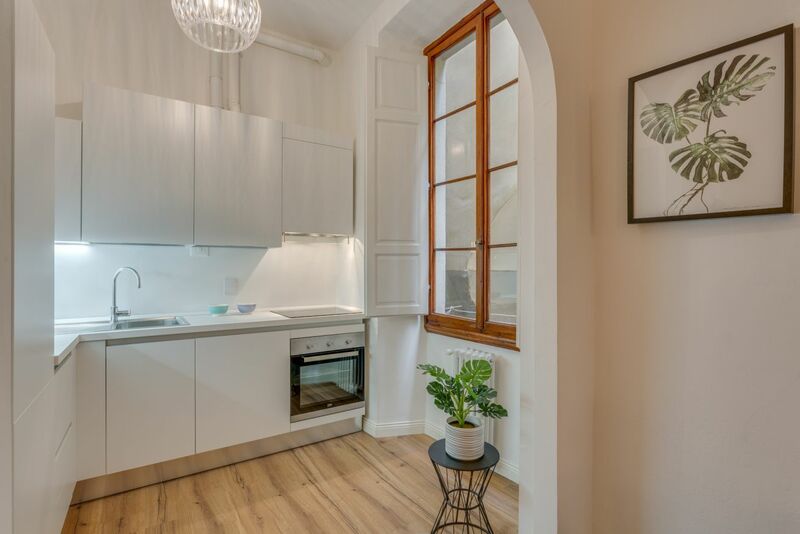 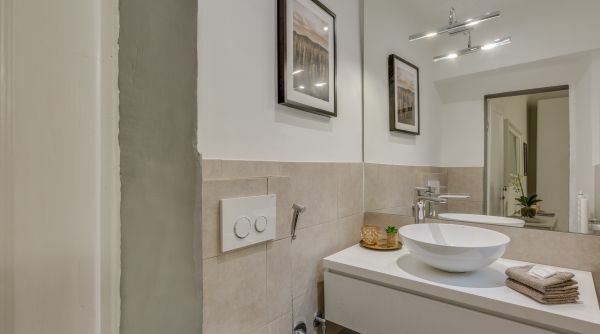 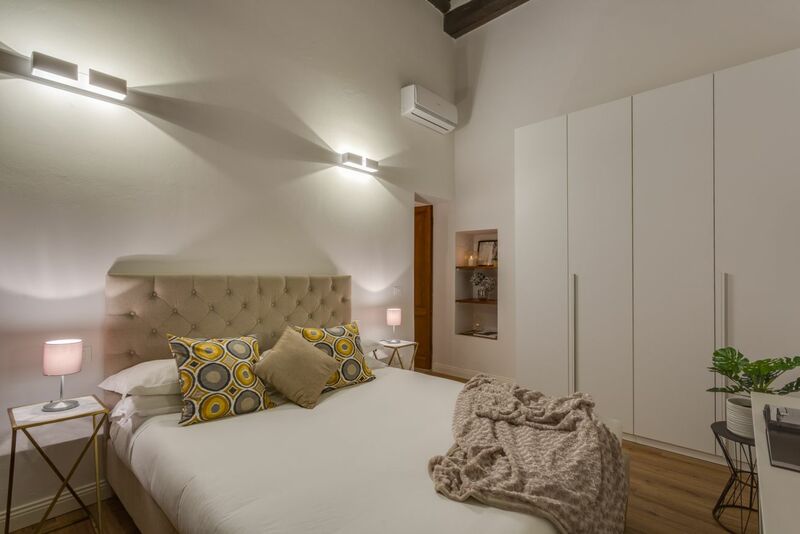 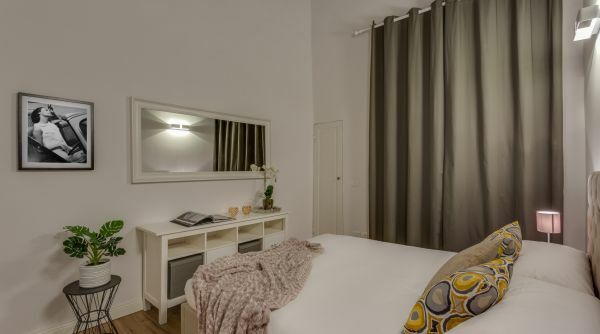 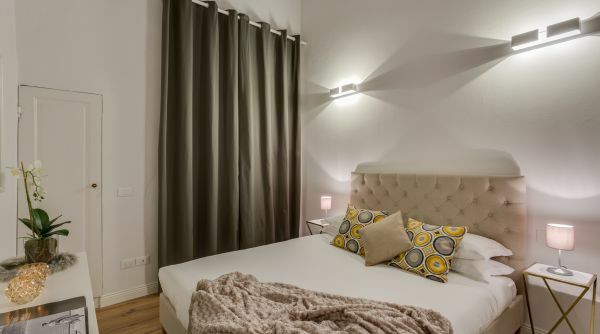 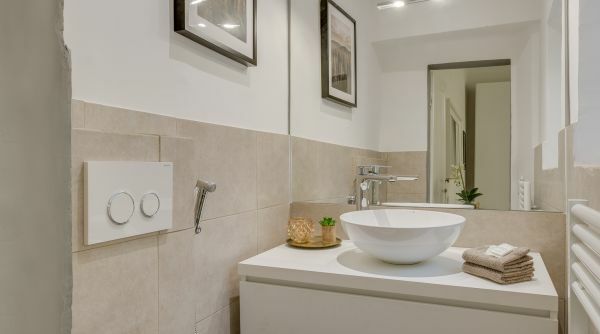 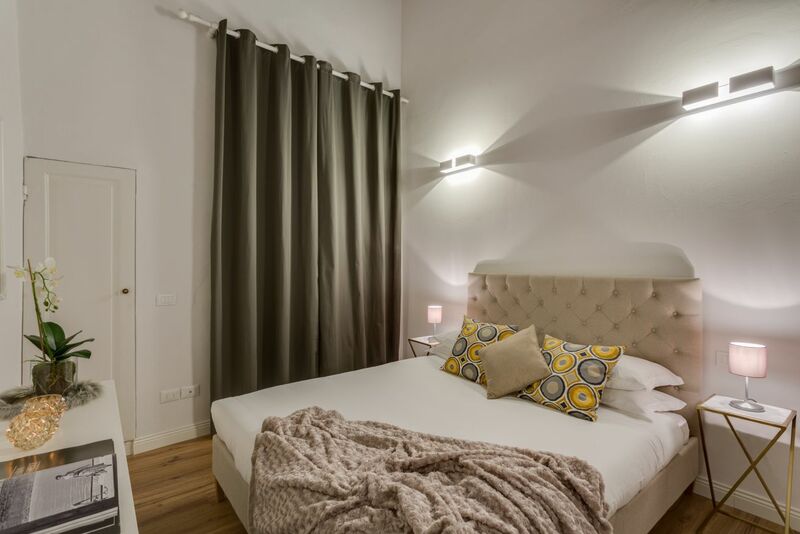 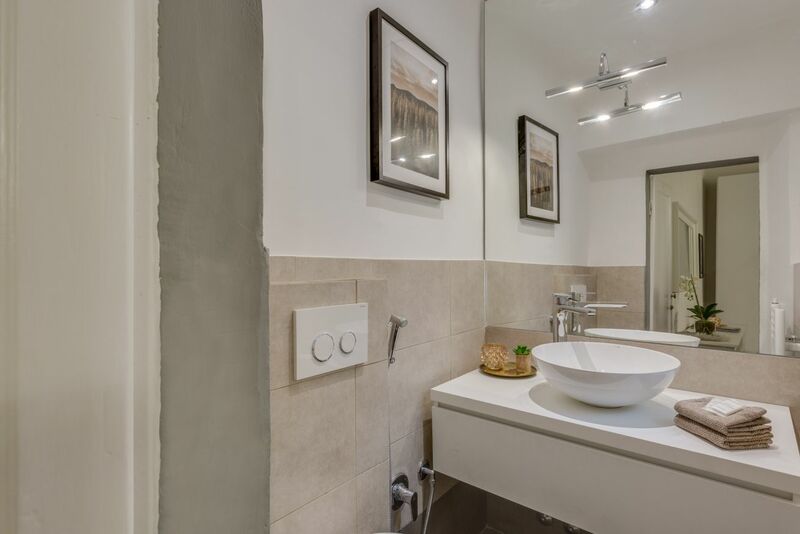 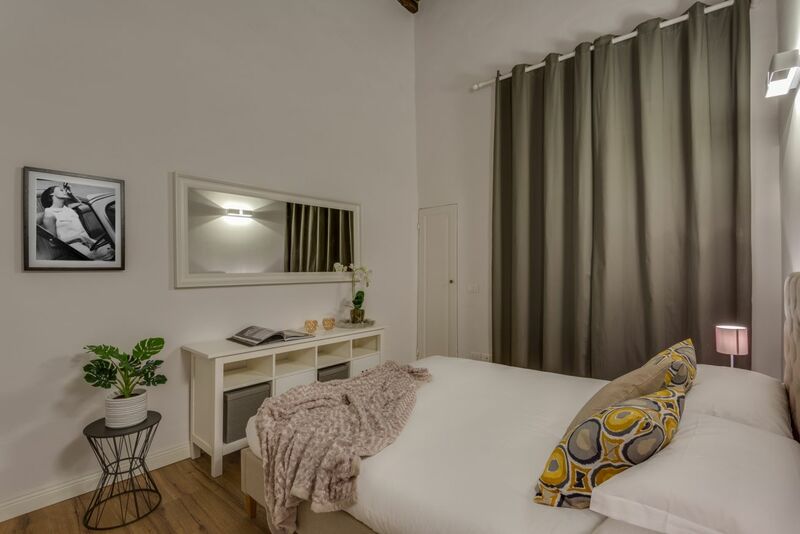 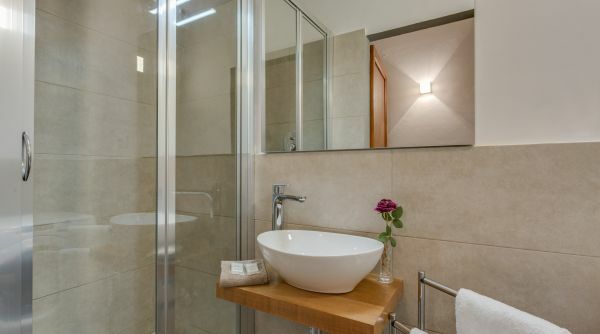 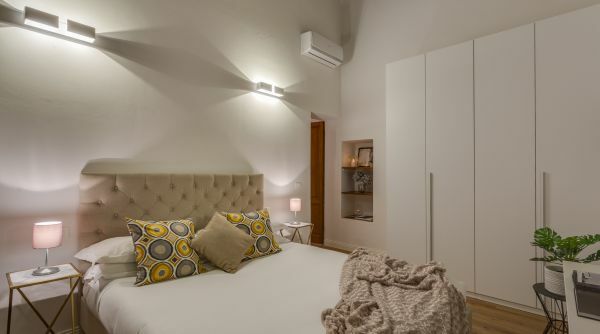 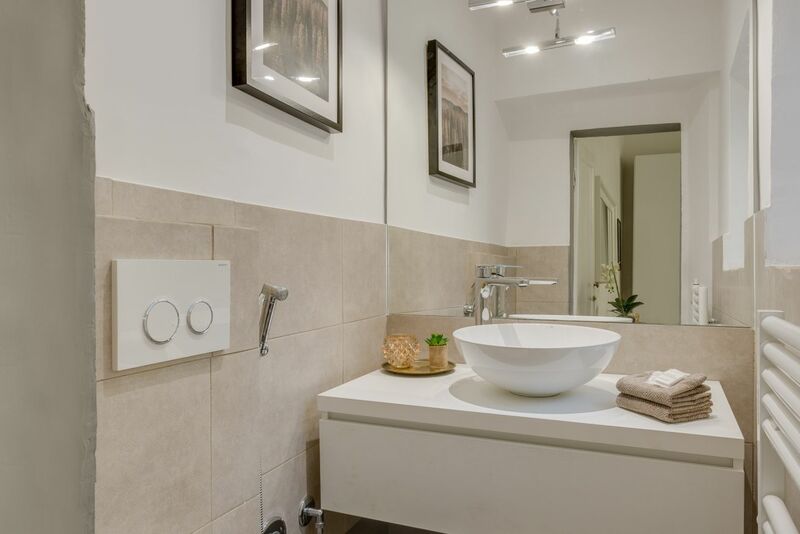 On the left side of the apartment, you will find a corridor, with a bathroom that is equipped with a shower a washbasin and the washing machine, after you will find the bedroom, with the same clean and modern feel as the rest of the apartment. 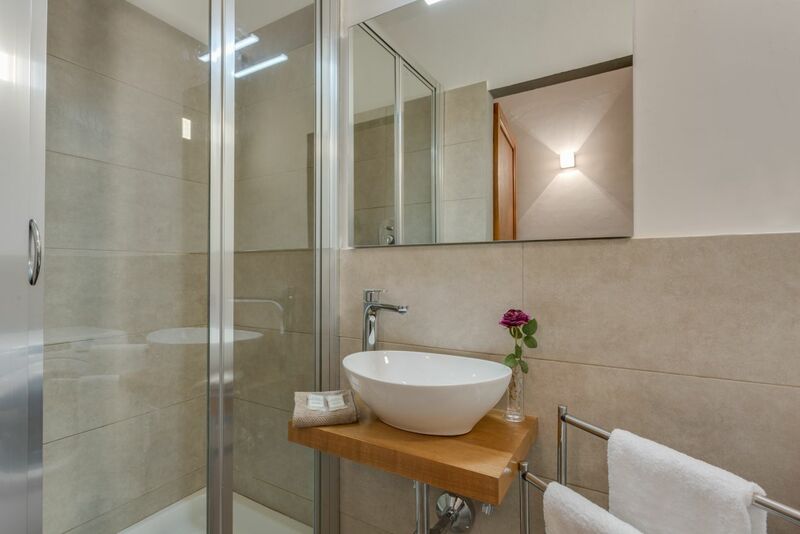 Inside the bedroom, there is also a bathroom equipped with a WC and a washbasin. 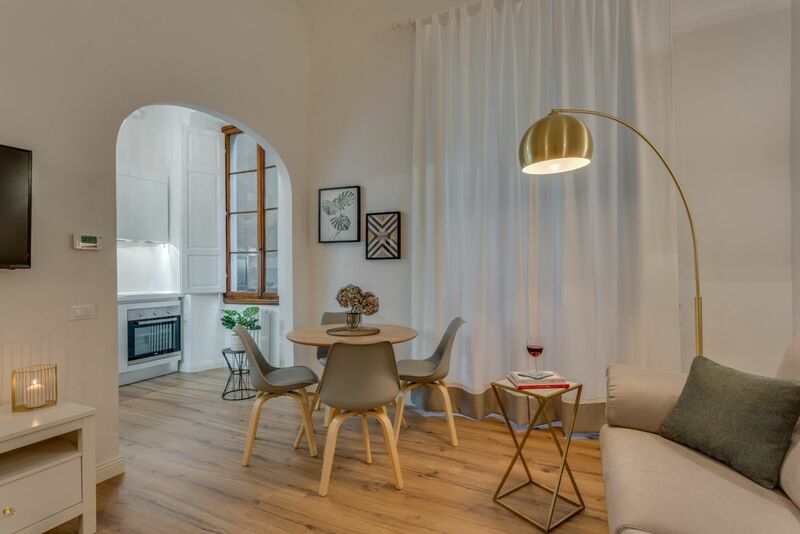 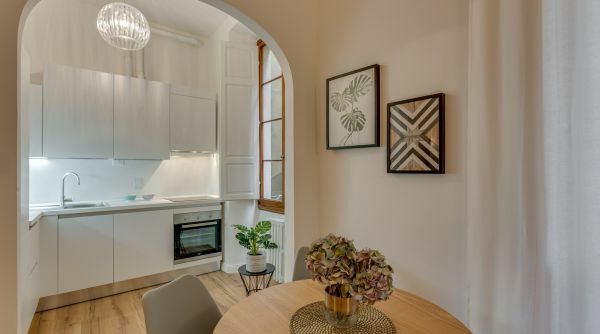 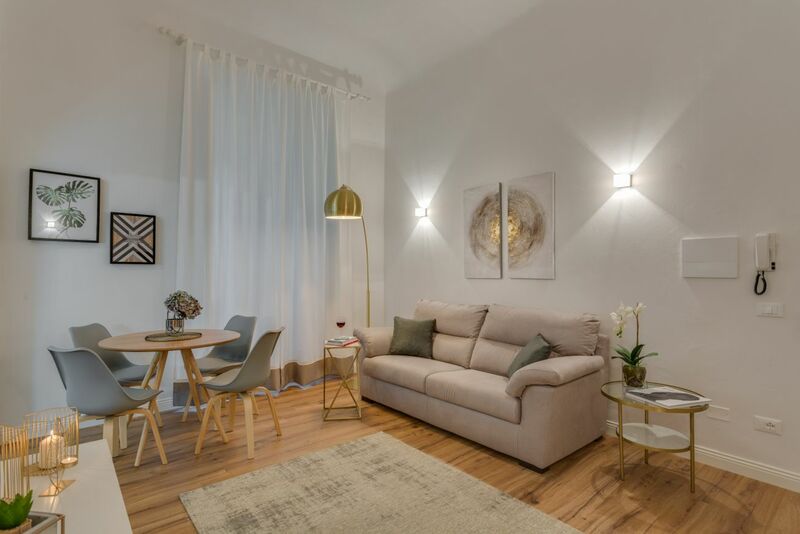 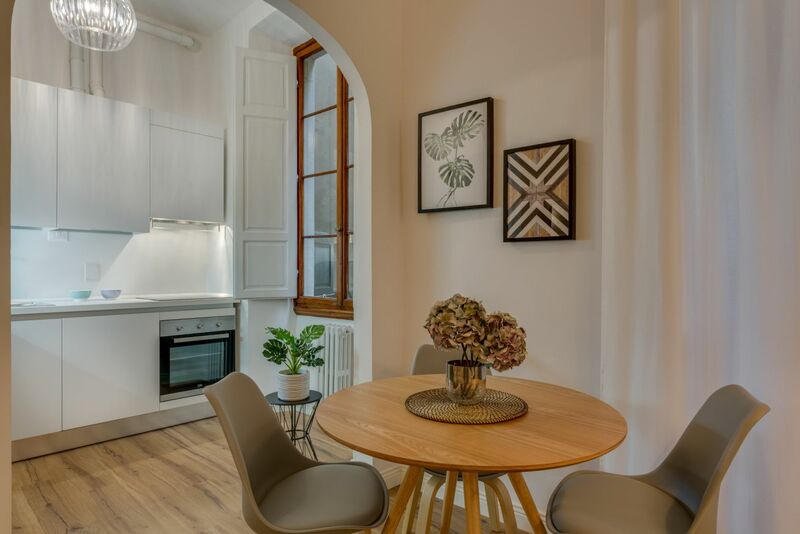 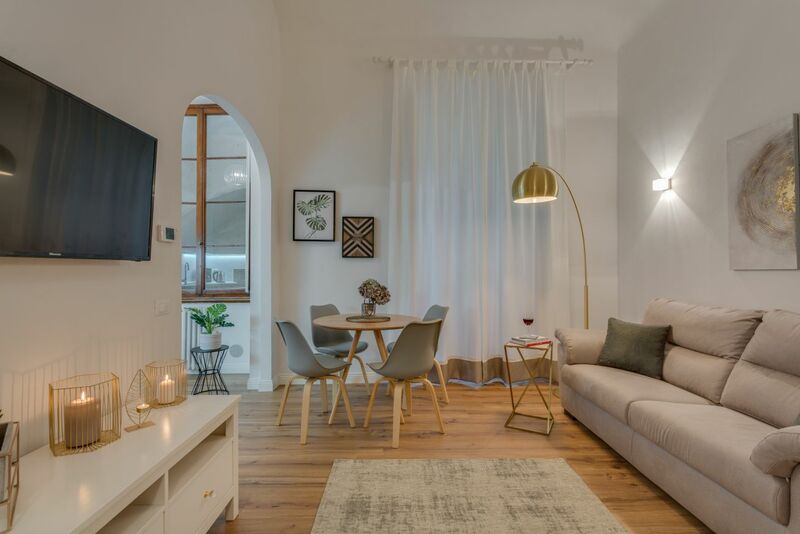 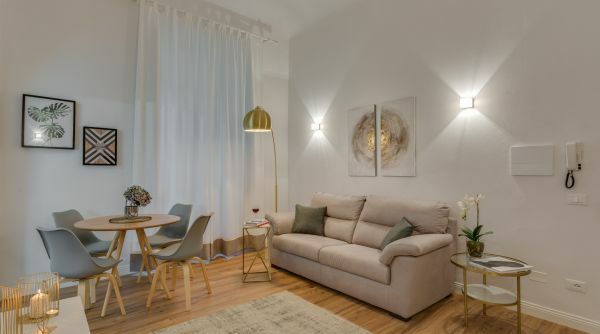 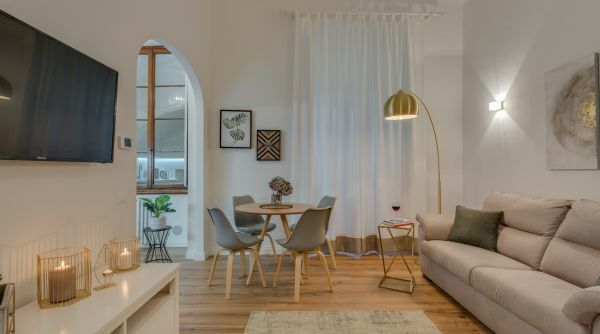 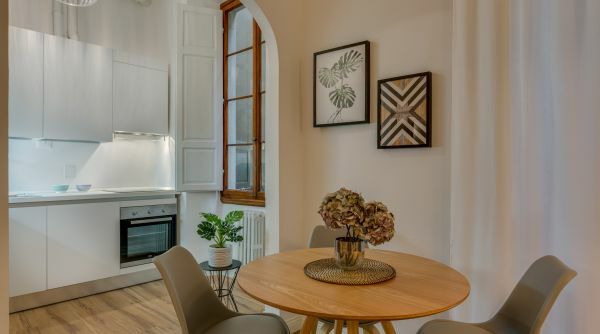 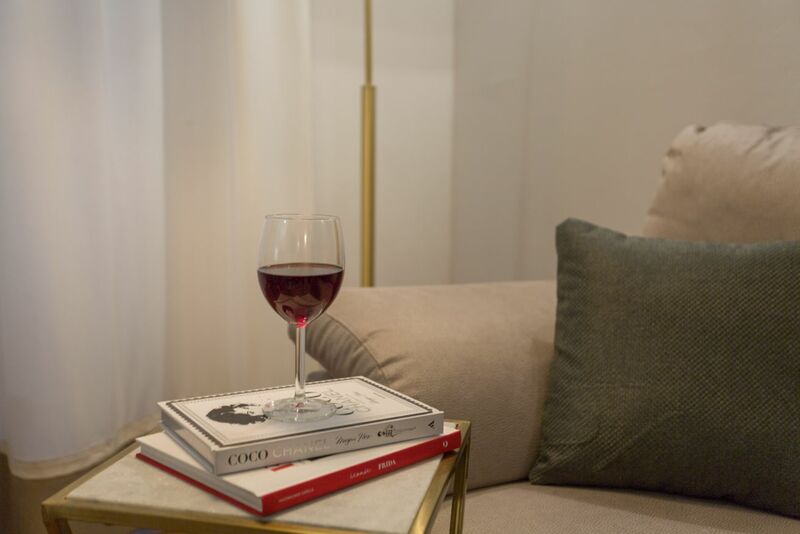 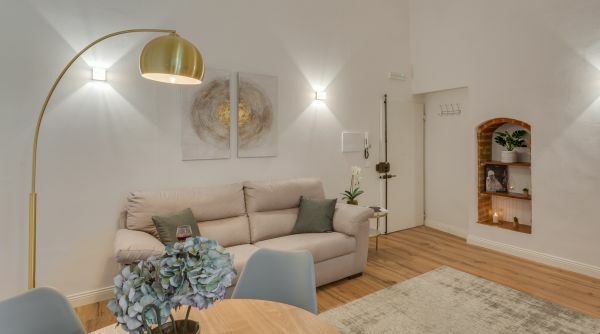 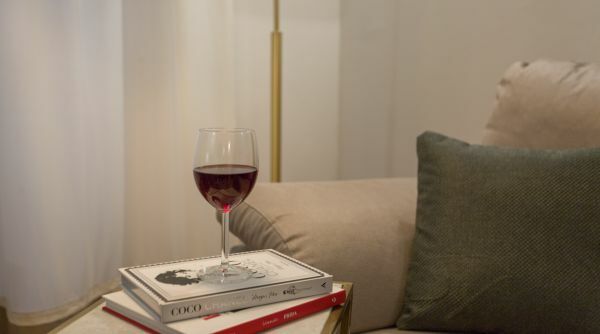 This apartment has an excellent location which will enable the guest to reach easily all the landmarks by foot and enjoy all the amenities of the city center. 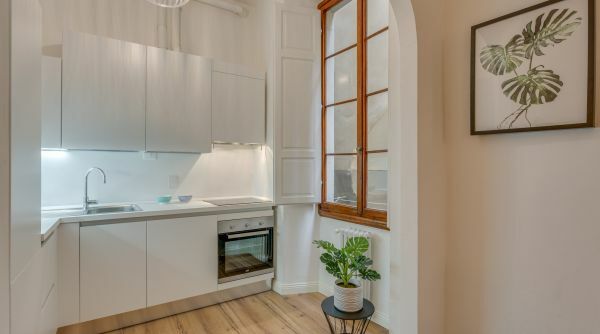 One of the great thing about this apartment is that the windows face to the interior of the building giving the guests all the privacy and quiet needed. 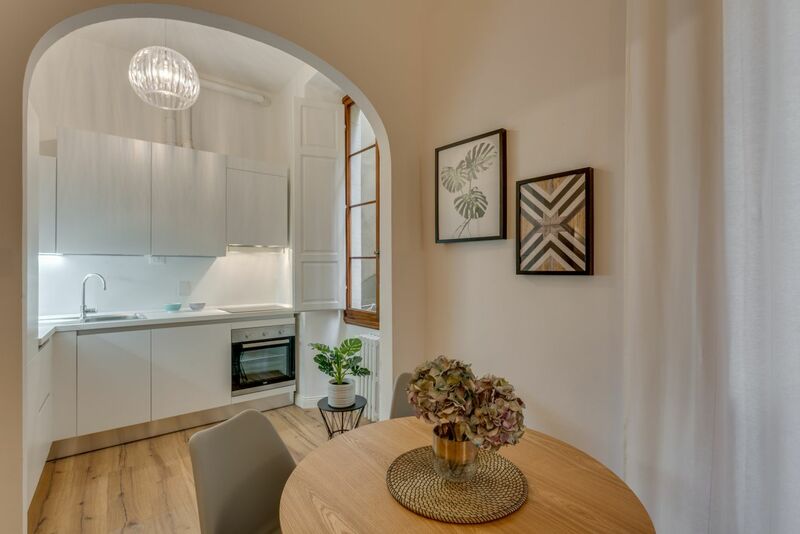 This recently renovated property features laminated floors, Air conditioning throughout, and a modern and fresh décor.